Although I am writing this post through the lens of a mom, this is for everyone. As people we get wrapped up in the daily movements of our life and fail to fully provide TLC for ourself. Whether it is work, a hobby, family responsibility: self comes last (or in the middle) even if we don’t want to admit it. After experiencing an indescribable weakness and vertigo, I decided to be more aware of what I intake. My body spoke and it is time for a re-set. 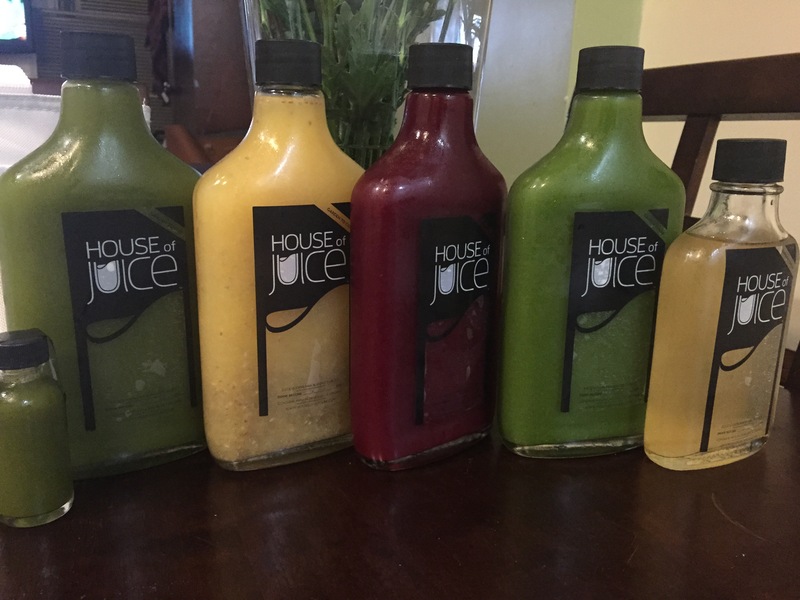 I reached out to my fellow mama, friend and juice & brew extraordinaire Danii from houseofjuicebk.com, to start a 30 day cleanse. This is in no way a gimmick: no shakes, pills, creams or hand stands first thing in the am. Just straight organic and local cold-pressed juice combinations and probiotics to feed my exhausted and vitamin starved body. I invite you in as I go through this one day at a time. I’m scared, nervous but excited and anxious to see and feel better after this journey. I’m hoping for a lifestyle change. Along with one meal, this is what I drink everyday with my weight in water.